Do you remember your first time? People tend to remember the moment they first heard The Rush Limbaugh Show on the radio. For Zev Chafets, it was in a car in Detroit, driving down Woodward Avenue. 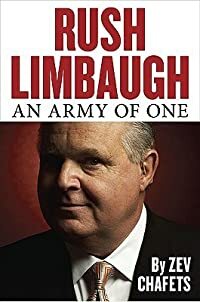 Limbaugh's braggadocio, the outrageous satire, the slaughtering of liberal sacred cows performed with the verve of a rock-n-roll DJ-it seemed fresh, funny and completely subversive. "They're never going to let this guy stay on the air," he thought. Almost two decades later Chafets met Rush for the first time, at Limbaugh's rarely visited "Southern Command." They spent hours together talking on the record about politics, sports, music, show business, religion and modern American history. Rush opened his home and his world, introducing Chafets to his family, closest friends, even his psychologist. The result was an acclaimed cover-story profile of Limbaugh in The New York Times Magazine. But there was much more to say, especially after Limbaugh became Public Enemy Number One of the Obama Administration. At first Limbaugh resisted the idea of a full-length portrait, but he eventually invited Chafets back to Florida and exchanged more than a hundred emails full of his personal history, thoughts, fears and ambitions. What has emerged is an uniquely personal look at the man who is not only the most popular voice on the radio, but the leader of the conservative movement and one of the most influential figures in the Republican Party. While Limbaugh's public persona is instantly recognizable, his background and private life are often misunderstood. Even devoted Dittoheads will find there's a lot they don't know about the self-described "harm little fuzzball" who has, over the years, taken on the giants of the mainstream media and the Democratic Party-from Bill and Hillary Clinton to Barack Obama-with "half his brain tied behind his back, just to make it fair." Chafets paints a compelling portrait of Limbaugh as a master entertainer, a public intellectual, a political force, and a fascinating man. Reading order of: American Mail-Order Brides Series Cutter's Creek Series Holiday Mail Order Brides Series Kindle Worlds Montana Sky Series Mail-Order Bride Ink Series Prairie Brides Series Prairie Grooms Series The Bainbridge Sisters Series The Dalton Brides Series by Kit Morgan and an exhaustive list of all her books (over 50!) including her 2017 release! 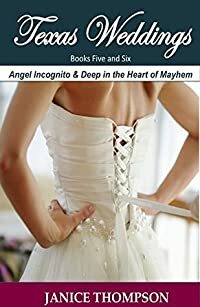 A complete list of every Kit Morgan book published, to read and keep an easy track of, with links to the books on Amazon! Kit Morgan has authored some amazing books like the American Mail-Order Brides series. As a fan, all of us want to know her complete treasure of books she has authored, so we can continue to enjoy her writing. Kit Morgan has penned lot of books (over 50!) and our endeavor is to provide you with a comprehensive list of every Kit Morgan title published. 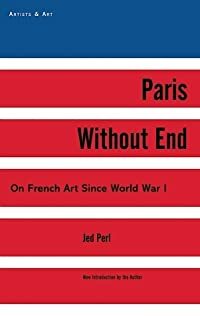 With this list, it is very easy to keep track of what you have already read and what you are yet to read. 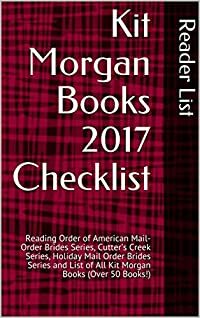 How this book is useful: You can use this as a checklist to track which Kit Morgan books you have already read You will be able to go through the complete list of books by Kit Morgan as well as the reading order of all the series she has written including her 2017 books Links to Kit Morgan’s books on Amazon is included to facilitate buying her books that you have not yet read You get to read the synopsis and reviews of her books on Amazon once you follow the links to her books Get your copy now and be updated on Kit Morgan books! PLEASE NOTE: THIS IS A TITLE LIST ONLY, compiled for reference purposes to assist readers. No copyrighted material from the titles listed is included. This list is compliant with United States Copyright Office circular 34. O álbum Noite Luz é constituído por seis histórias em quadrinhos - Noite Luz, Entre Rosas e Estrelas, Buldog, Sexta, O Patuá de Dadá e Graffiti. Estas histórias são o espaço onde vários personagens se cruzam, embora nunca deixem de ser estranhos entre eles. A primeira história, Noite Luz, foi publicada na revista Front #12, em 2002. A história Entre Rosas e Estrelas foi publicada na revista Graffiti #17 e na revista eslovena Stripburger #47. A história Graffiti foi somente publicada na Argentina na revista Suda Mery K #6. 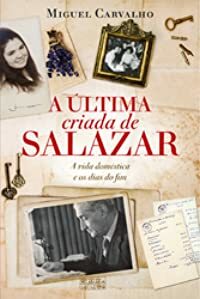 Quatro histórias do álbum são inéditas no Brasil. 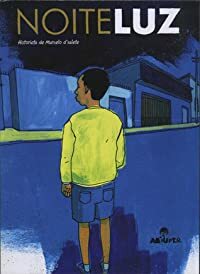 O álbum tem 112 páginas em P&B, dimensões de 16x23cm, e capa colorida.